Family is vital, and when you live with many miles between it's almost impossible to spend time with each other frequently. While telephones and video calls have dimished that distance, it's not the same as being able to physically see your loved ones. If you are contemplating moving closer to your children, or to your grandchildren, you should scrupulously examine every part of that decision. Because it is simple to see only the advantages, without really considering the negatives. And for every up there is a down, which is why it is a wise idea to compare and contrast what your future life might look like if you choose to make that move to Oklahoma City. Even on-the-go families can schedule time to have brunch or catch a weekend flick, provided they live relatively close together. It also means you won't miss out on holidays, birthdays, and other important events like recitals, plays, etc. that grandkids tend to have regularly. That is a valid reason for many older parents to try to close the gap between themselves, and the rest of their families. If the rest of your family previously has taken up residence in a certain city, then you must take that city on its own terms. That means you have limited choices when it comes to budgets, locations, and other options that are frequently available for you when considering relocating. Depending on your resources and your personal needs, you might not be able to find a new abode that gives you everything you need. Even if you are unfamiliar with your new locale, you'll have a support network in the form of your family. They can help integrate you, give you the grand tour, and get you up-to-speed on what your new location is all about. That's a huge plus, especially for senior citizens who may have hesitations about asking for help, or starting a new social network in Oklahoma City from scratch. Just because you're a parent or a grandparent doesn't mean you don't have your own life to attend to. You have interests and pastimes, and you may even still be working on your career. Just because your kids have grown up (and in some situations had kids of their own) doesn’t mean you don't have things to do, still. If you live close by your family, though, you might feel obligated to put that by the wayside so that you can spend more time with your loved ones. If the area you're moving to has things your current place of residence doesn't, then that can be a big advantage for you. Whether it is better social services to help you with your needs, a more active social scene, or just an economy where your money goes further than it does where you currently live. You need to meticulously evaluate where you're moving to, and try to find positive aspects of it that will allow you to feel like part of the community. Even if you have a small house of possessions, and you're moving a fairly short distance, it's going to cost you time, money and energy to move. Those costs should be calculated and their impact pondered, before you decide to move. Because even if you can afford your final destination; you want to be closer to your family; and there are opportunities there, the cost of moving might be enough to shackle you in place. 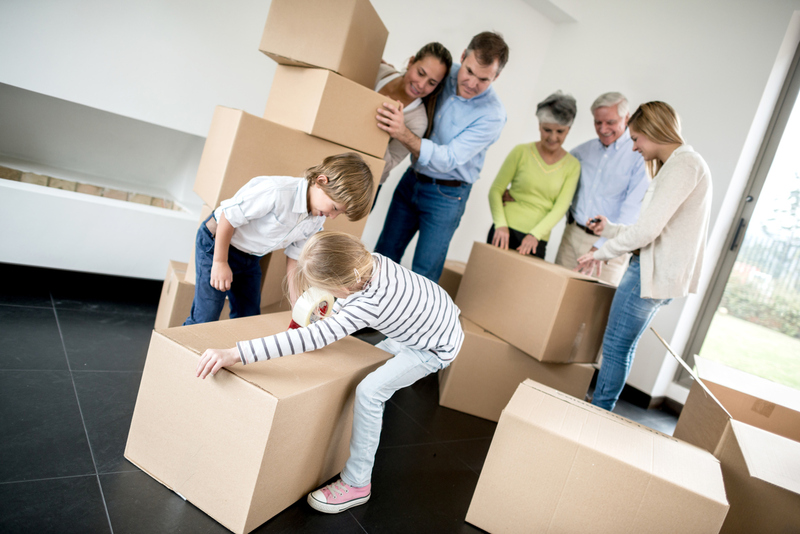 If you are prepared to make the move closer to your children or grandchildren, A-1 Freeman can assist you every step of the way. We have many different service levels to fit every budget. Click below to get started with your Free Estimate.